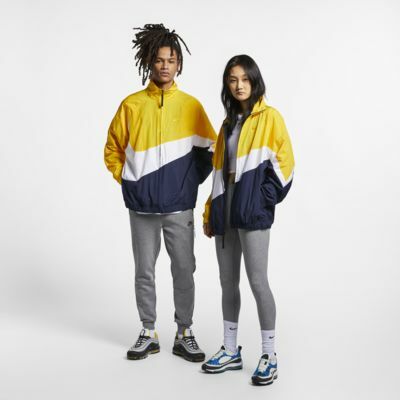 The Nike Sportswear 'Swoosh' Windbreaker is designed with a Swoosh design that wraps across the chest, around the arm and to the back for a look that jumps off the page. 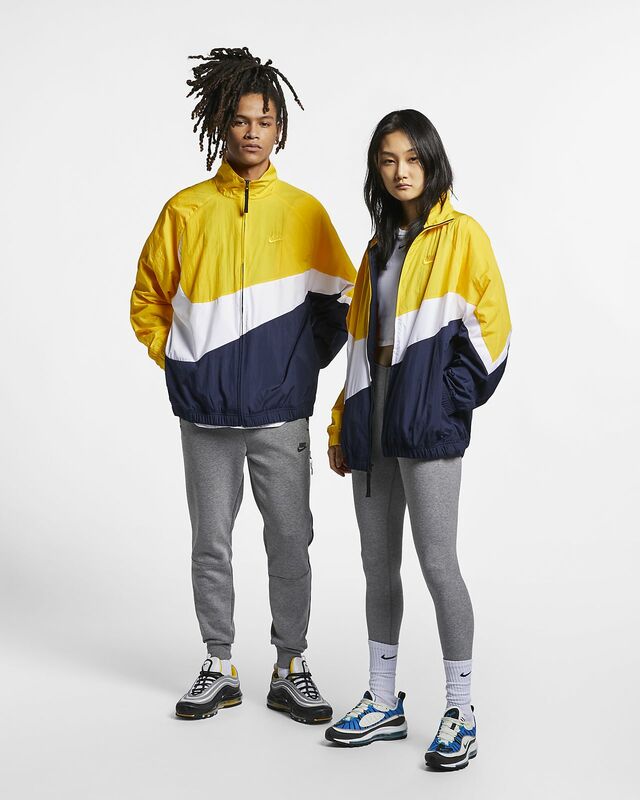 The Nike Sportswear &apos;Swoosh&apos; Windbreaker is designed with a Swoosh design that wraps across the chest, around the arm and to the back for a look that jumps off the page. Taffeta fabric is smooth, with a crisp feel and a slight sheen. A mesh lining adds breathable comfort. A massive Swoosh design creates a dimensional look. Have your say. Be the first to review the Nike Sportswear 'Swoosh'.